Provide comfort for the family of Claudio Bermudez Zeledon with a meaningful gesture of sympathy. Mr. Claudio Bermudez Zeledon 88 died on April 7, 2019 at home surrounded by family members due to natural causes. He was a loving father, selfless provider, teacher, mentor and friend. Claudio was born on December 30, 1930 the oldest of 10 siblings in San Jose Costa Rica. At the age of 18 Claudio joined the “Political Revolution of 1948 against the then President Teodoro Picado. After the revolution was won Claudio took a position at the main post office in San Jose. In 1950 Claudio had the opportunity to travel to San Antonio Texas to study at the IPI bible college. Claudio graduated at the top of his class in 1954 with honors. It was there that he met the love of his life, Miss Doris Marie Shenberger. They were married in San Antonio on May 21, 1954 and began their journey as missionaries to many countries. After wards they came back to Ohio after living a short time in California where his first son was born, David Benjamin Bermudez Zeledon. In 1958 Claudio had worked for the FE Myers company in Ashland and then in 1963 worked for the Hydromatic Pump Company located in Hayesville. In 1970 Claudio went to work for the Lazuras and O’Neils stores at the Richland Mall as store a manager. It was by chance that Claudio met a business owner from Akron that was looking for a bilingual person to help them in their Central, South American and Mexico export markets. Claudio became president of ATISCO export division shortly thereafter. Claudio traveled all of Mexico, Central, South America and the Caribbean. In 1984 Claudio and Doris moved to Florida and worked along side of their son Daniel in founding Tesco Of America Inc. The company prospered in the export and domestic markets where Claudio again traveled the South American countries. The company is now celebrating 30 years in business. In 2014 Claudio and Doris retired and came back to Hayesville Ohio to enjoy their other 3 children, grand children and great grand children. Claudio is survived by his children, Judy and Mark Calderhead of Lexington , David and Annette Zeledon of Columbus Ohio, Daniel and Laura Zeledon of Plantation Florida, Susan and Gregg Keener of Ashland Ohio. Two sisters and three brothers all from San Jose Costa Rica. Claudio enjoyed going to church and studying the bible. He had a passion for gardening and loved his flowers and trees that he planted. Claudio loved people and enjoyed talking to everyone. Claudio was well known in many countries including Europe from his many travels and business acquaintances. Claudio was not only our father but our Champion. “Claudio was a spectacular person, Un hombre espectacular”! We will all miss our “Cuyito”. You are etched in our hearts forever. Estás grabado en nuestros corazones para siempre. A private funeral service will be held on Thursday, April 11, 2019 in the Denbow-Gasche Funeral Home. Interment will follow in the Vermillion Cemetery in Hayesville. To send flowers in memory of Claudio Bermudez Zeledon, please visit our Heartfelt Sympathies Store. We encourage you to share your most beloved memories of Claudio Bermudez here, so that the family and other loved ones can always see it. You can upload cherished photographs, or share your favorite stories, and can even comment on those shared by others. 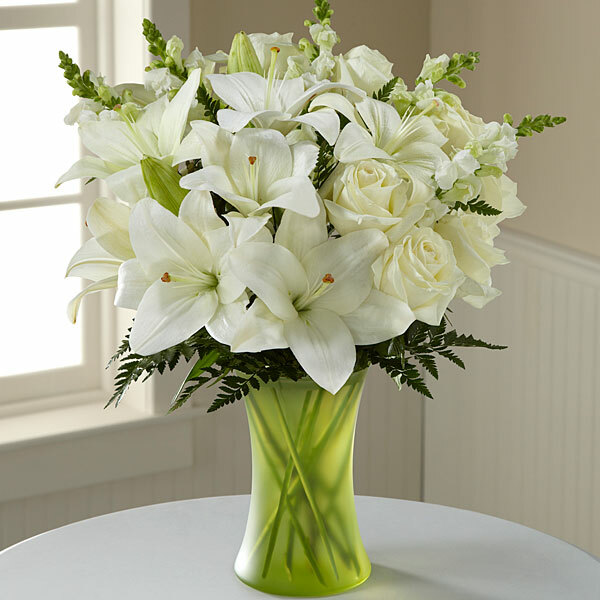 Provide comfort for the family of Claudio Bermudez Zeledon by sending flowers. Deepest Sympathy from your Brothers and Sisters at Believers Spoken Word Tabernacle. Heartfelt Sympathies Store purchased flowers for the family of Claudio Bermudez Zeledon.